“Trust me, I know its difficult to overcome your fears and concerns, but fear and anxiety are essentially emotional doorways to personal growth, so take a deep breath & take your first step to becoming a fitter you”. Ok, Im not going to lie, CrossFit produces some great Athletes, but then again so does every sport. As for the rest of us…. well, I’m afraid the dizzy heights of sporting fame & success are a long, long way from our grasp. So, where does that leave us mere mortals? Well, it leaves us trying our best & thats all that anyone can do, right? 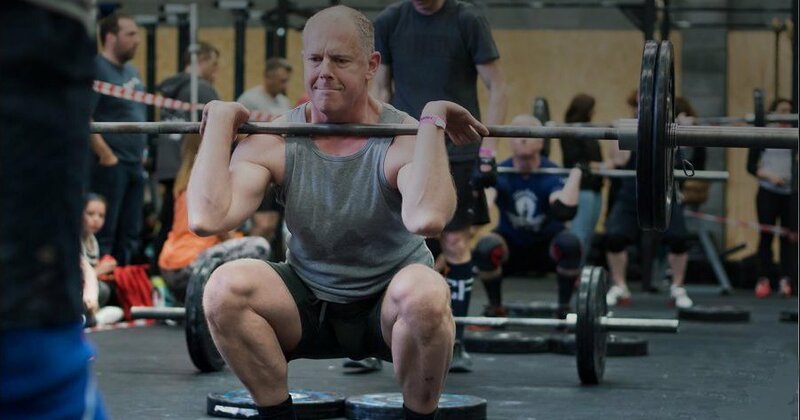 CrossFit is actually just full of everyday people of all ages and abilities that try their best as and when they can and the ones that look really good, are the ones that never gave up and try their hardest every day. I can tell you one thing for sure, all the Coaches and every member at every CF Box (gym) ALL started with a first day, all joined a Foundations Class and all never looked back. Question is, whens your first day ? Maybe this one should of been first on the list but, hey, its made the top and for a reason and its a reason no one ever considers. Let me ask you…. how are you supposed to get good at something if you’ve never even tried to take part in it? Its just plain impossible. The whole point of starting something new is just that, its new and that requires a first day and a first step. If you’re unwilling to take that first step, how are you ever going to become fit or good enough at anything? The truth is, everyone that trains CrossFit has their own reason for doing so. Some are there for social reasons and to remain active, some to loose weight and some wish to truly find their fitness limits. 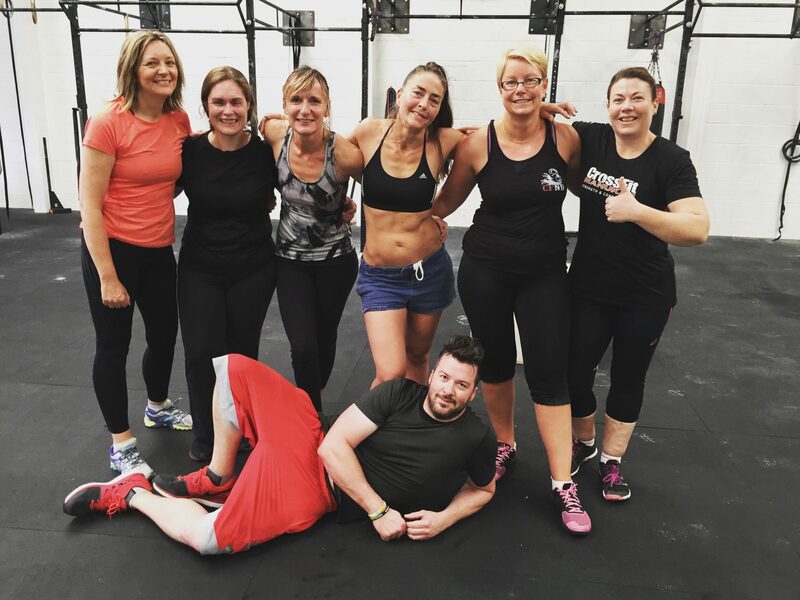 CrossFit is essentially a community of like minded people doing their thing. Simply do yours…. All our workouts (WODs) are extremely scaleable, meaning we can adjust them for everyone’s individual abilities. You can train as hard or as slowly as you wish, take as mush rest as you need and ultimately over time your fitness and strength will gradually increase. I cant promise you, you wont occasionally end up on the floor in a pile of sweat as this is quite a common site in a CrossFit box, but lets face it, if you’ve ever worked out and never sweated you were probably not doing it properly in the first place. Book into one of our Fast Track Courses Today. The answer to this one is both YES and NO. Let me explain…. 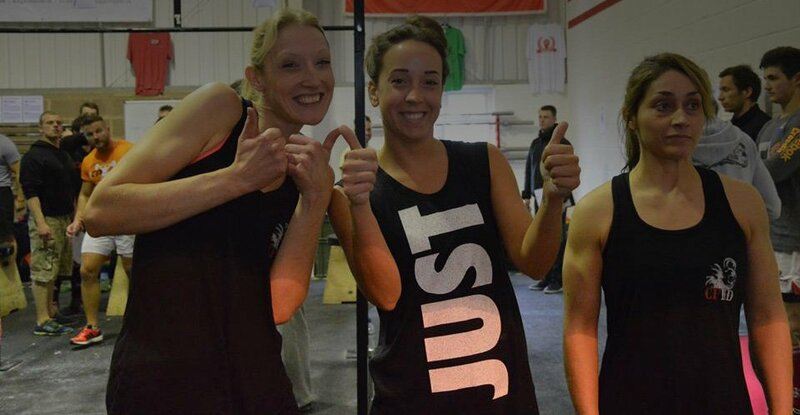 CrossFit has two distinct roads, one of which is taking part in local, national and international competitions. This is fantastic for anyone wishing to test their fitness against other athletes. The second road is very much a personal and often inward competition with yourself. Nearly all of us at some point in our CrossFit journey, will have that day (or many) that you have one of those internal battles, with one half of you screaming ‘just quit, why am I doing this anyhow’ whilst the other half gives the first half a blocking by saying “get on with it, you light-weight’ (polite version). It doesn’t matter if you occasionally quite, you maybe tired and had a long day or you didn’t scale the workout out enough. What truly matters is that you come back for more, and thats when you truly find out who you are and thats when you find the competitor inside you. I honestly hand on hart tell you, that whilst this maybe true on your first day, it mostly certainly won’t be true by the end of your first week. CrossFit is famous for its community building. From your fist days of meeting your Coaches you will be introduced to others of similar abilities. Within no time at all you’ll form new bonds and gain a whole load of new friends and training partners. You can even bring the kids, thats a bonus eah! #6 Will I get too bulky? This quite simply comes down to what you wish to gain from your training. If you wish to take the competitive road you’ll need to dedicate to a professionally designed strength and conditioning program and train 5 to 6 days a week. Increasing your strength in this manner will almost certainly change your size and appearance to a more athletic one. On the other hand, if you wish to only train twice per week, along with changing other lifestyle factors such a food and drink, you’ll almost definitely see a change in increased muscle tone and lower body fat. Lets face it, who doesn’t want that. A word of warning to the ladies here though and it involves the dreaded scales weigh-in. The chances are that as you get stronger & fitter, you’ll gain muscle mass and loose fat. Now…. Muscle hold in and around 70% water and fat holds around 20% water. This means that as you increase muscle mass you’ll potentially weigh more on the scales due to the extra water weight (especially in well hydrated individuals). This tends to upset people no matter if they’ve dropped a couple of dress sizes. Be happy with the slimmer hips girls, its a big win. Yes this one actually made the list and is indeed a worry for many. I have to admit at this point that there is a bit of a uniform, mostly because certain styles of clothes are more suitable to the way we train. If you’d love an excuse to get your self a whole new outfit then knock yourself out. If you couldn’t care less, then wear what have and feel comfortable in. You’re probably get something CrossFit for Christmas anyway, as ‘the first rule of CrossFit is to talk about CrossFit’ and it won’t take long before all of your family and friends know (without a shadow of a doubt), that you are a CrossFitter & it’ll be plastered all over your Facebook page. Don’t worry, you wont be the only one.